The Yellow Springs Arts Council is busy year-round with a full schedule of exhibits in our Community Gallery, live music concerts and other events in our Multi-Arts Event Room, yearly high school arts awards, and other arts projects throughout the Village. The complete schedule of upcoming events is on our Calendar. The YSAC Community Gallery, located at 111 Corry Street in Yellow Springs, provides opportunities for member artists to showcase local works. Opening Receptions take place on Third Fridays from 6-9 pm from February – December and each exhibit lasts three weeks. The gallery is open Wednesdays – Sundays from 1-4 pm. In December, the Gallery is filled with treasures for sale in the Holiday Art Jumble fundraiser, now an annual tradition. Shop from Out-of-the-Closet Art, Grandma’s Arty Knickknacks, Hand-Crafted Whimsy, and Art Supplies in this yearly community art reshuffle. These monthly music events feature local talent on second Saturdays from 6:30-9:30 pm and normally ask for a $5 suggested donation. In the most recent YS Arts Experience, four national and area artists participated in an abstract Bronze Sculpture Symposium on the campus of Antioch College in October, 2013. Featuring a rare ancient practice – bronze casting – dating back nearly 5,000 years, the symposium engaged and educated community members, students, and visitors, and was one of the Top Ten Picks for the Best of Dayton’s Visual Arts, 2013. The pieces will be installed around Yellow Springs in a Bronze Sculpture Trail in 2014. This annual YSAC fundraiser is a self-guided tour of private art collections throughout Yellow Springs held in the fall. YSAC is pleased to partner with Antioch College through the Miller Fellow program. Member artists are encouraged to offer classes and workshops at reduced rates in our Multi-Arts Event Room. 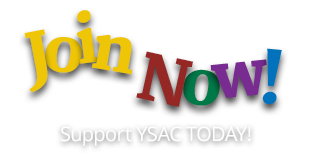 In the past, YSAC has coordinated summer classes for children and artists-in-residence at Mills Lawn Elementary School.